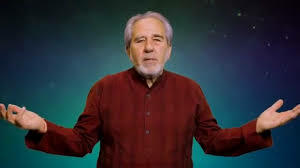 Bruce Lipton is a former cell biologist, who abandoned science- and reality-based biology after having experienced a “spiritual revelation” about cells that led him to embrace creationism and decide that holistic medicine works. For the most part, he comes across as a slightly more science-focused Deepak Chopra, though what Lipton calls “science” is ultimately no less not than Chopra’s spirit-babble deepity (Chopra himself is a fan of Lipton’s work). Lipton is probably best known for the idea that your beliefs and thoughts can manipulate your genes and DNA by the power of choprawoo, as described for instance in his book The Biology of Belief – Unleashing the Power of Consciousness, Matter & Miracles (2005). That claim is incorrect. The cell is a microcosm of the human body, and the workings of the cell reflect the workings of a body: “There is no new function that's present in your human body that’s not already present in every single cell. You have a digestive system, a respiratory system, etc, so does a cell.” Then notice: humans live in communities, and multicellular organisms are in biology sometimes described as “colonies of cells”. From that metaphor, Lipton derives his theory of cancer: “cancer cells have withdrawn from the community … Why would some cells get out of the community? And the answer is why are people homeless? … If their community is not supporting them at some point the cells recognize at some point ‘My God what do I want to be in this for’.” And then we get cancer – it’s a result of a breakdown of cell society. And note that Lipton is not intending this as a metaphor. This is Lipton’s theory of cancer. Science, anatomy and the distinction between poetic metaphor and literal description be damned. The brain of the cell: According to Lipton, biologists think that the cell nucleus is the brain of the cell. But cells can live for months in a dish after they’ve had their nucleus taken out, whereas human bodies die without a brain. Therefore, scientists are wrong. Yes, the argument is precisely as inept as I make it sound. (And for the record: biologists do not think that the cell nucleus is anything like the brain of the cell, even when they’re being metaphorical; not that this is the most incompetent element of Lipton’s argument). Instead, Lipton thinks the cell membrane is the brain of the cell (and yes: he has pointed out the similarity between “…brane” and “brain”, cuz that’s how he rolls). His evidence consists primarily of redefining scientific terms and by calling the chemical reactions taking place at the cell membrane “perception” and those that take place within the cell “behavior”, and when you have perception and behavior you’ve got further proof that cells are just like organisms (detailed critique of Lipton’s arguments here). Therefore, cell perception and our perception are linked, and since there is a link between perception and belief, there is a link between our beliefs and cell activity. Hence, your beliefs can control your cells, and therefore your DNA, and therefore heal any medical problem you may have that doctors say are of genetic origin. In particular, we can cure cancer with our beliefs. Or, in other words, Lipton is a complete idiot, and the people who listen to him – such as quacks like Joe Mercola – dangerously ignorant and delusional. Lipton’s ideas have, of course, been ignored by mainstream science, and much of Lipton’s writings accordingly consist of attacking science; “modern science has bankrupted our souls,” claims Lipton, since they tend not to find support for his wishful thinking, metaphors and other nonsense (Coast to Coast AM has covered him extensively, though). Lipton rejects the “Newtonian vision of the primacy of a physical, mechanical Universe”, that “genes control biology,” that evolution resulted from random genetic mutations, and that evolution is driven by natural selection – mostly on the grounds that these ideas don’t quite fit what his intuitions have revealed to him. The Secret, on the other hand, is apparently worthy science. As for evolution, Lipton finds it implausible that that we arose in this garden as a total result of accident, which, of course, is Hoyle’s fallacy and not what the theory of evolution claims. And note: Bruce Lipton has a PhD in developmental biology, despite evidently not grasping the most basic elements of what evolution is. Instead, Lipton plumps for Intelligent Design creationism – that it was purpose and design through the entire process – though without the Christianity part. Moreover, “[i]f you take Darwinian theory, make a ‘scientific’ principle out of it, put it into political action, then you have something like Nazi Germany,” says Lipton. Question: if you take the third law of thermodynamics, make a “scientific principle out of it” and “put it into political action”, would you get full-scale nuclear war? And what does that suggest to Lipton about the third law of thermodynamics? (No, it makes no sense, at any level). Anyways, freeing evolution from its moorings in science and reality enables Lipton to state that “humanity is on the brink of spontaneous evolution”. If you think there is a tension between the concepts “spontaneous” and “evolution” you shouldn’t, because quantum. And you know when the big change will take place, don’t you? Yes, that’s right: It’s 2012. Darwinian evolution is false because it fail to predict a 2012 apocalypse. Apparently, Lipton’s own theory suffered no such falsification misfortune when 2012 came and passed without relevant incident because only scientific theories are affected by falsification; pseudoscientific theories are protected from such misfortunes. Here’s a discussion of Lipton’s own theory of biology, which explicitly rejects the whole of genetics: “the genes, that’s all, that’s all wrong, that information,” says Lipton. He is, however, fond of epigenetics, which seems to have become the new quantum in woo and pseudoscience circles (not that Lipton shies away from invoking old-fashioned quantum woo as well). Of course, Lipton appears to have no clear idea about what epigenetics actually is, but some popularizing descriptions using metaphors and analogies do give him some vague associations to the Law of Attraction, which he likes, so he runs with that. Diagnosis: Tirelessly harnessing the power of nonsense, Lipton has emerged as a dafter but somewhat more sciency-sounding competitor to the Chopra itself. Complete nonsense, of course, which stands to science roughly as a balloon stands to mathematical logic, but Lipton enjoys a relatively substantial following number of victims among the scientifically illiterate. It’s a damn shame when a seemingly intelligent man takes a header directly into a concrete religious wing-nuttery wall!